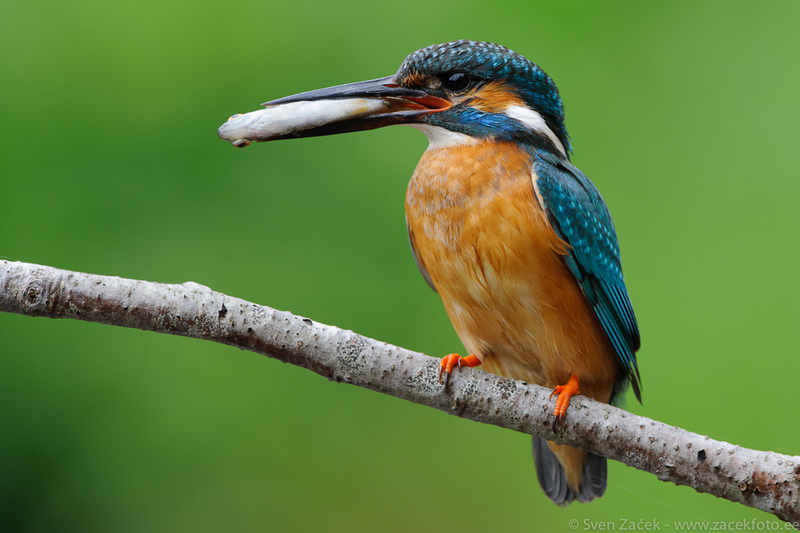 The common kingfisher has been chosen as the bird of the year for 2014 in Estonia. In the coming days I will write an article about my encounters with these fabulous birds over the years. I was also asked to present a slideshow at a yearly gathering of the Estonian Ornithological Society in early December. I am really looking forward to going through my archives and putting together a presentation of my time during several winters and summers. I leave you with a simple summer portrait with a lush green background still wet from the morning rain. Photo info - Summer: : Nikon D3x + Nikkor 400mm F2,8 VR + Nikkor TC-20EIII. F5,6, 1/400, ISO 400. Beautiful capture of the kingfisher!